Since the time I saw cushion foundations on Korean websites, my hands were itching to try it out. I love Korean products. They not only have pretty and cute packaging but also deliver results. 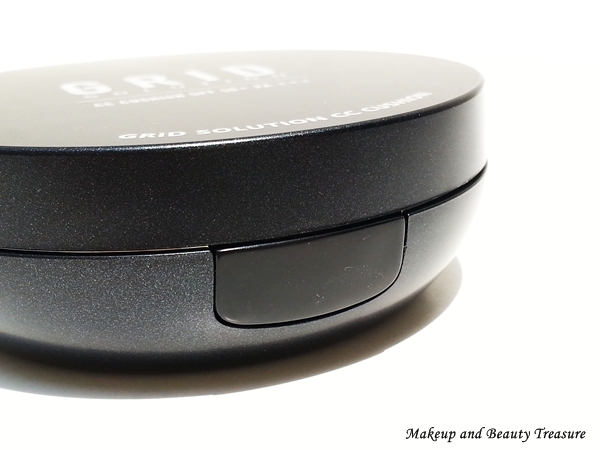 Today I am going to review Grid Solution UK CC Cushion Foundation* which has SPF50++/PA+++. It is definitely my first cushion foundation. It is priced at 19.99£ (or $30) and you can buy online HERE from their Facebook page. Sponge is the best thing in this foundation! I pressed it a bit with the sponge! 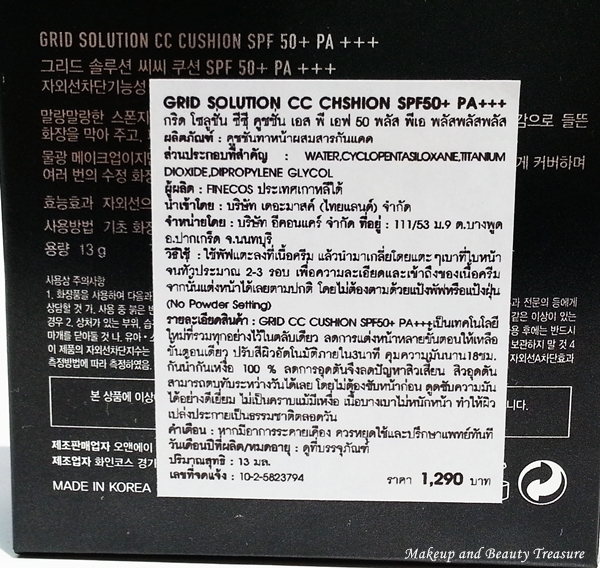 The cushion foundation comes in a black cardboard box packaging with all the information printed in Japanese language. 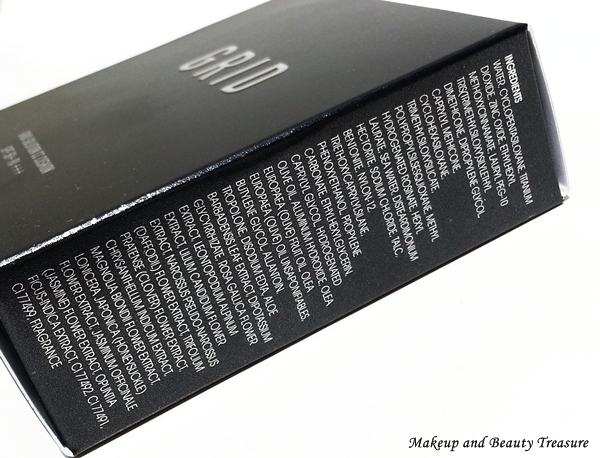 The actual product comes in a smooth black compact case with flip open lid. As soon as you open the lid, you will find a mirror and the applicator sponge that is placed neatly over the inner lid. The size of the mirror is quite good and I love using it while traveling. 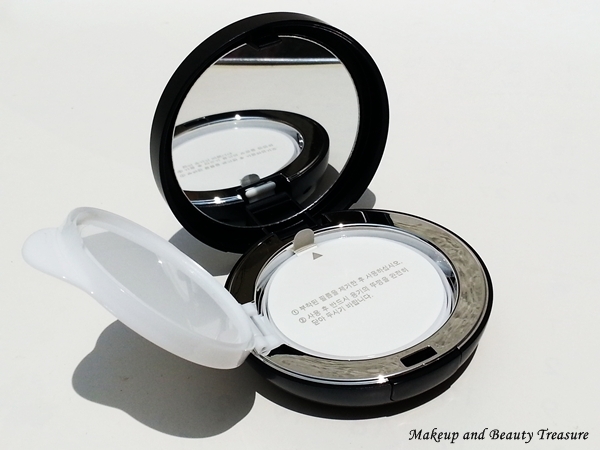 When you lift the white inner lid, you will find a soft cushion that is totally white. I saw various other cushion foundations that were actually the shade of the foundation. I was actually skeptical to use it as I felt it will give a cake-y finish to my skin but boy I was so wrong! You just need to press the sponge few times and you will find right amount of foundation over the applicator sponge. It is actually a foundation in the cushion. The applicator sponge is unique in itself. It does not absorb the foundation and I can literally see the liquid foundation over it. I then simply dab it over my skin especially on the problematic areas. The shade matches my fair skin tone well. It gives a lovely dewy finish to my skin. 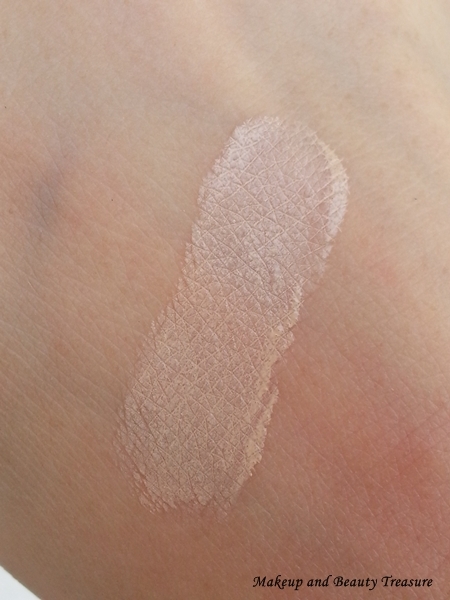 It gives medium to full coverage and looks absolutely natural on skin. It does give a whitish cast on my skin initially but goes away with proper dabbing. Keep dabbing the sponge until you are satisfied with the finish. The foundation sets into the powder finish and looks absolutely stunning on skin. It gives a healthy glow to my skin. 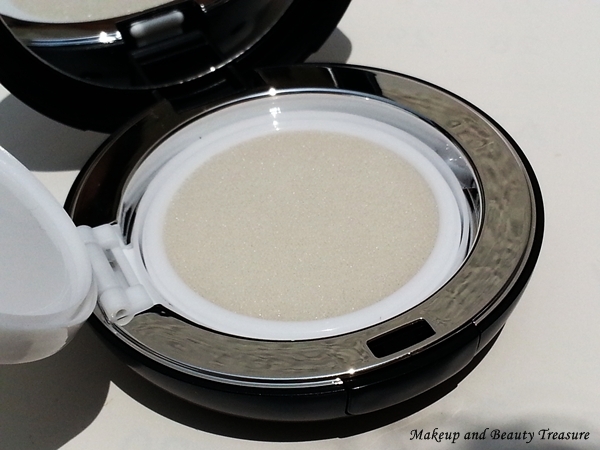 As I have oily skin, I set my T-zone with the compact powder. 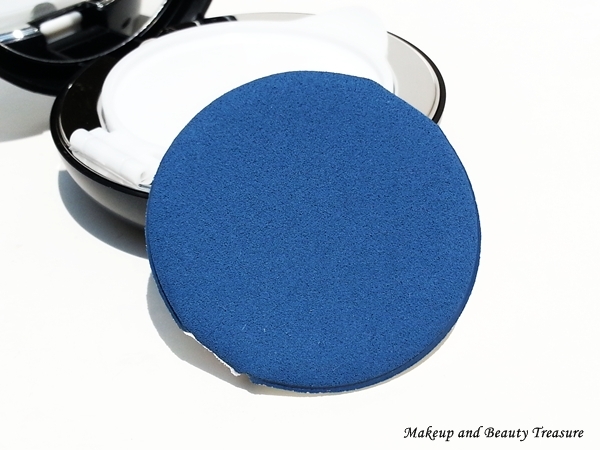 I have few blemishes and this cushion foundation covers it well with the second layer. It makes my skin look fresh the whole day without oxidizing! My skin does not turn overly oily though I do feel the need to use blotting sheets on my nose at the end of the day (I have very oily nose!). • The sponge is wonderful. I am already planning to use it with my other foundation. Do let me know if you see such kind of sponges online! I want more! • Gives medium to full coverage with layers. • Gives a dewy look to the skin. • Separate compartment for sponge to ensure everything is hygienic. • Long lasting! It stays on my skin the whole day. • Grid Solution provides Worldwide Shipping! • Available in only 1 shade. It might look ghostly on people with darker skin tones. • As it contains higher SPF it gives a whitish cast to the skin but goes natural with proper dabbing and patting! 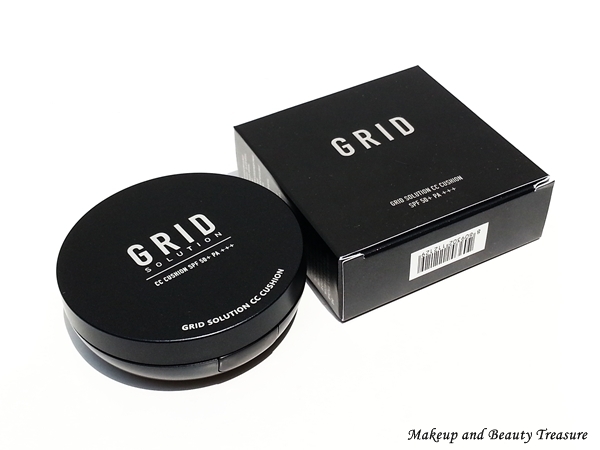 Grid Solution UK CC Cushion Foundation is a unique foundation that gives an even and smooth finish to the skin. It covers minor pimples and acne well without looking cake-y. It looks natural on skin and my makeup looks fresh the whole day! I would definitely recommend it to everyone! • If you have very oily skin set it with powder. • Apply the moisturizer prior foundation application as it settles into powder finish! • Wash the sponge weekly if you use it on daily basis. 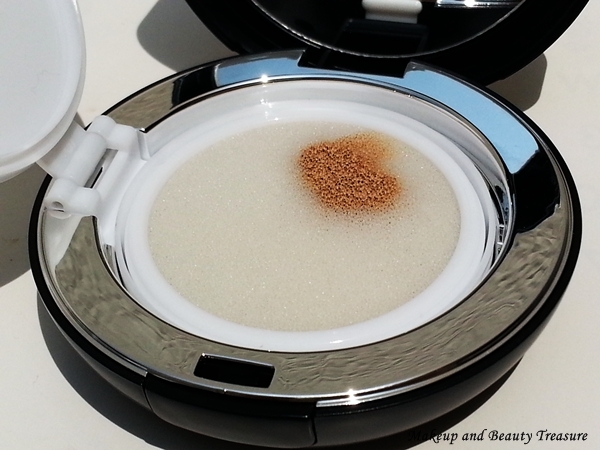 • When I am in hurry, I apply the foundation with sponge and blend it with foundation brush! 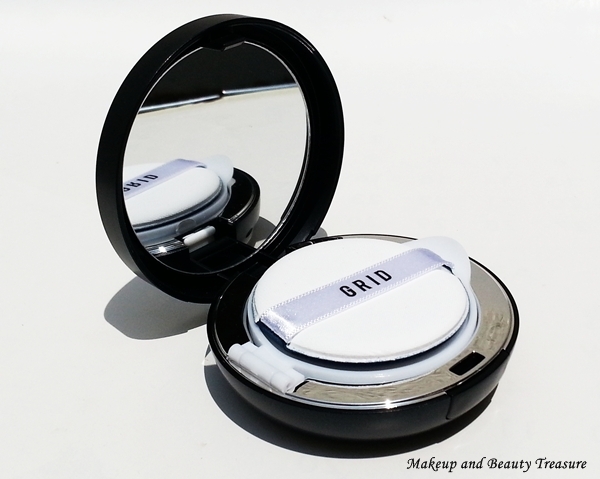 Would you like to try cushion foundation?